Say I Love You with this timeless classic. One dozen Long Stem Roses. Red, pink, white, yellow, lavender, peach. 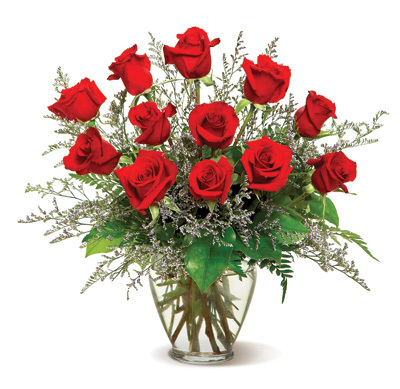 We also have a bouquet of two, three & four dozen red roses available. A charming bouquet of 1 dozen roses. Order your own fresh long stem premium roses.